At the end of the day we all die. 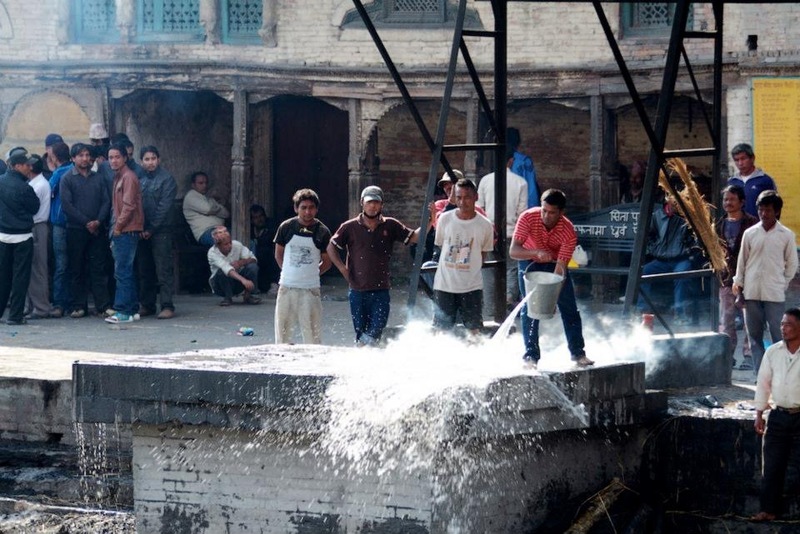 Sad, but what to do! 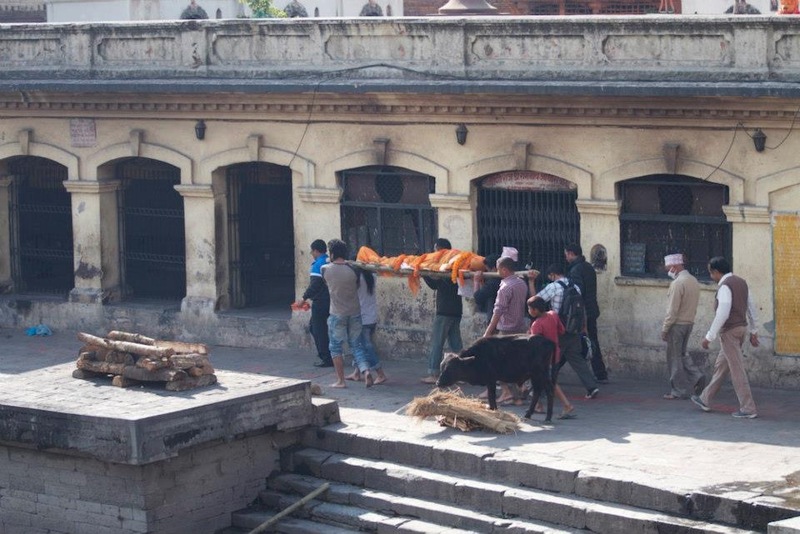 And if you happened to live and die in Nepal, chances are you would end up like the robed dead body in the picture, taken at the Pashupatinath Temple in Kathmandu. 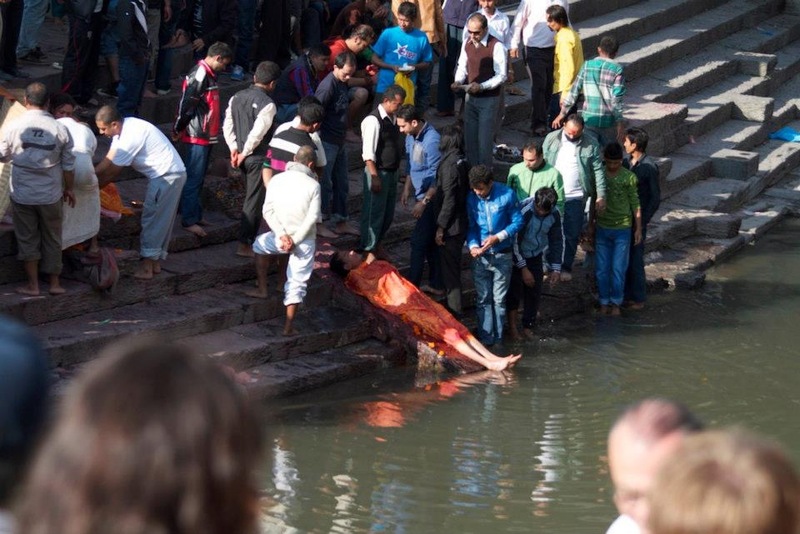 Before a dead body is cremated it must first go through the ceremony of purification, which involves taking the body to the edge of the holy Bagmati River, dipping & washing the feet of the body in the water. 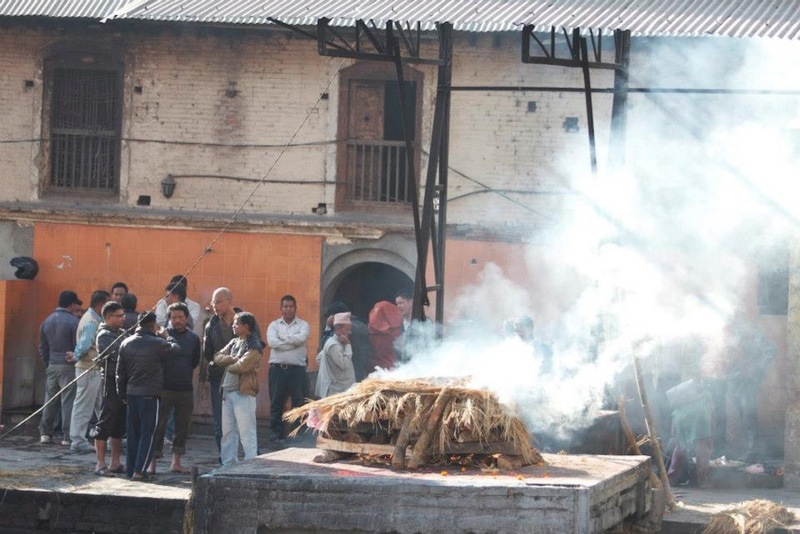 Following purification, the body is then moved to the adjoining area of funeral pyres where the body is burnt and the ashes washed into the river on completion – onwards towards the next life and eventually (hopefully) reaching Nirvana. 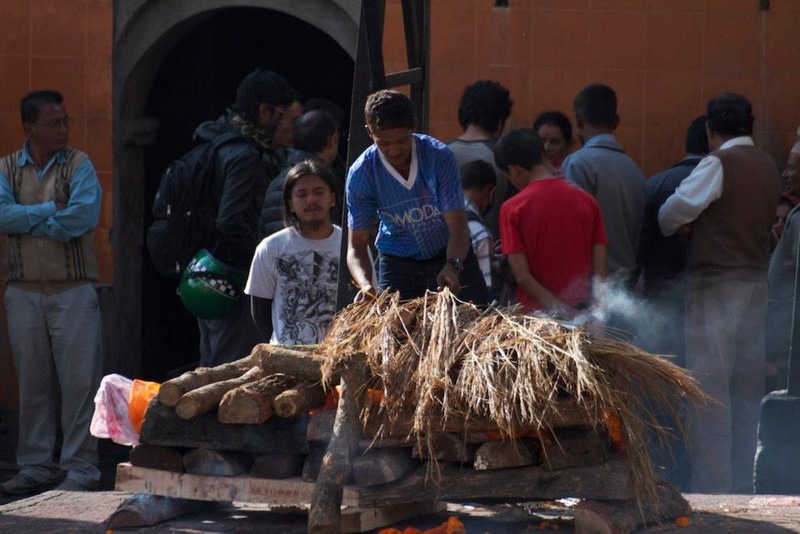 You will notice the the feet of the body extend beyond the end of the timber/straw pyre. 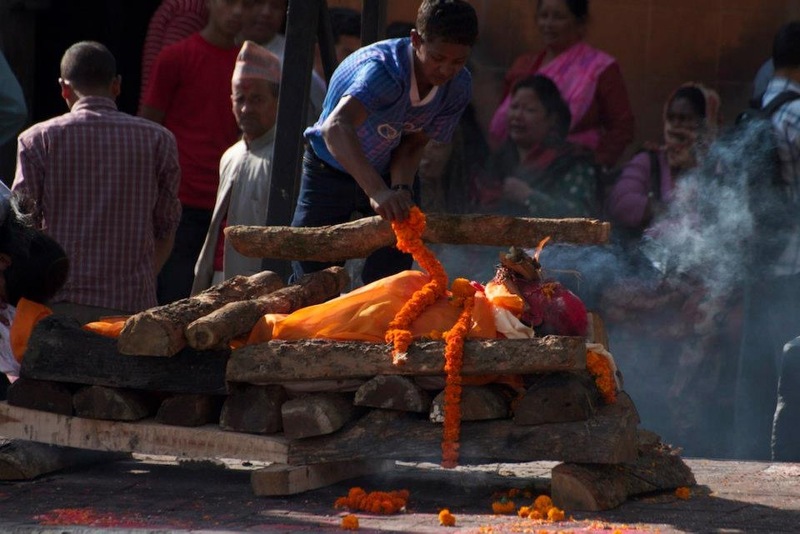 As the body burns, relatives will eventually manoeuvre the feet into the flames with bamboo or timber poles.